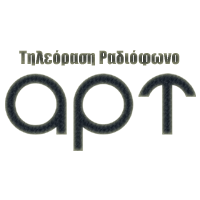 General TV Channel / APT (Asti Radio Television) is a Greek private informational video regionally station, which broadcasts in Attica. It began its operation in March 1990. The station was fast-tracked almost from its start until it began to expand, completely illegally, its scope nationwide until 2014, covering almost the entire Greek territory through Digea (via Hellas Sat 2) and terrestrial from the COSMOTE TV payphone platform , at 663. However, as of April 1, 2018, the station broadcasts only in Regional Zone 9 (Attica, Argosaronic and South Evia ), since it is officially peripheral.